As you’d expect from the county that brings you the UK’s 2 largest beer producers (Adnams & Greene King), our love of the traditional British pub is unrivalled. Suffolk Pubs are often central to the local community, from the smallest village to the largest town, and offer a great atmosphere and friendly welcome. We’ve selected some of the best for you to try. Some pubs are more foodie than others so here we’ve selected our top picks of Suffolk’s pubs that are food led. 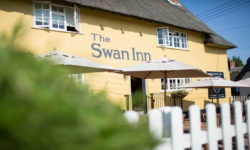 The Alderton Swan has been completely re-furbished in the last couple of years and offers the very best food, fine wines and cocktails along with a warm welcome. The pub is dog friendly and there are some lovely walks in the surrounding area or you can hire a bamboo bike if you prefer! See The Alderton Swan for more details of this charming historic grade two listed pub. 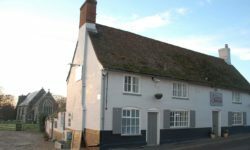 The Black Lion in the historic village of Long Melford was reopened in November 2017 after an extensive refurbishment. It now features roaring log fires in the bar, to keep you cosy in the winter, drawing room, a delightful conservatory leading out onto the large terrace which is perfect for al fresco dining in the summer months and 10 bedrooms which include a luxury suite and family room. The 40 cover restaurant offers seasonal menus including gluten free and vegan options. Imagine a picture postcard pretty, thatched pub on the Green in the middle of a stunning village offering the best local produce, and you have imagined The Swan Inn, Monks Eleigh. 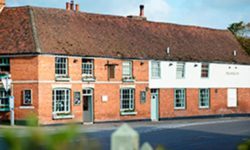 Close to Lavenham, this traditional country pub prides itself on its local, British & sustainable produce at the heart of their Farm to Fork philosophy. They also have a speciality Wine Cellar too! You can enjoy local specialities, some home smoked, in the outdoor seating and eating areas during the Summer months, or by the open fires during the Autumn and Winter. Find out more by clicking here. The Hadleigh Ram in the picture postcard town of Hadleigh is another ‘must’ for visitors. Stroll around the town and admire the Guildhall and many other treats, and work up an appetite for a first class pub meal at the Ram. This restaurant and bar, now owned by Stuart Inns, has a certain ‘Suffolk ale house’ charm and offers informal, yet comfortable dining areas. Open from 10am for Brunch, lunch and dinner, the Ram uses seasonal local ingredients to create ever changing delicious menus. Their ‘Gin & Mix List’ using artisan gins distilled throughout the UK is also well worth a try. The Sorrel Horse is a quintessential English country pub with tap drawn cask ales, thatched roof, tiled floors and an original bar billiards table. Nestled right in the heart of picturesque Shottisham, it’s the perfect stopping off point for exploring the area. 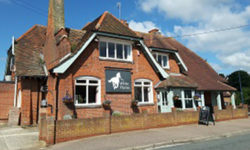 This family friendly pub warmly welcomes both horses and dogs and holds many popular events including live music. See The Sorrel Horse for more information. 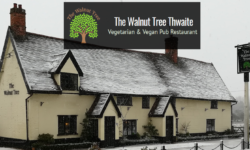 The delightful 16th century coaching Inn The Walnut Tree in Thwaite is a Vegetarian Haven! The menu offers a wide range of homemade vegetarian & vegan food and daily specials, using fresh and locally sourced ingredients where possible. There is also an extensive wine list and usually two real ales on tap plus local cider, lager and soft drinks. The sofas and open fires make it cosy during the cold winter evenings and there is a lovely enclosed beer garden for the warm spring and summer months. They are dog friendly and they welcome children. The Star Inn, Wenhaston is a cosy, welcoming village Inn with open fires, a good selection of traditional bar games, great pub food, plus a large garden with a boules pitch and informal camping (by prior arrangement). It’s also dog friendly and has open mic nights during the week so if you want a sing-a-long head to the very popular Star in Wenhaston near Halesworth. The traditional yet lively resort of Felixstowe on the Suffolk Coast has plenty to see and do. As well as an impressive seafront area, the Victorian and Edwardian ‘old town’ is well worth a visit. One of our favourite hidden gems, is The White Horse– a large pub & restaurant with secure garden to sit & enjoy either a catch up drink with friends or treat yourself to a variety of dishes from light lunches to super sizzlers & scrumptious home made desserts. Children and dogs are also welcome and the pub is situated just a few minutes walk from the coast. A village pub with a difference, the team at The Anchor are passionate about fresh, local produce. They offer a wide range of wines, over 150, as well as bio-dynamic and organic wines from some of the most inspired winemakers, plus delicious ales, and their seasonal, changing menu is packed full of local delights such as Red Poll Beef, Blythburgh Pork and Lowestoft fish. Dine in the garden during the summer months, only a stones throw away from the hugely popular Walberswick beach, or cosy up by the open fires in the winter. They also have first class accommodation. The Plough & Sail offers all you’d expect from a traditional country pub including a cosy bar for warming up those winter days, and outside seating for summer evenings and lazy Sunday lunchtimes. 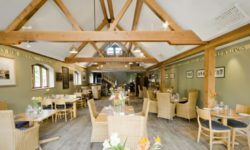 Located at Snape Maltings it is very convenient for a pre-concert drink or meal. Food is served in the Restaurant, or you can enjoy a more causal meal in the Bar area. Food is made using produce from Suffolk suppliers wherever possible and not forgetting a wide selection of draught lagers and ales and a fantastic wine list, so make sure you visit very soon The Plough and Sail, Snape. Further down the River Alde, south of Aldeburgh is the attractive foodie town of Orford and here you’ll find The Kings Head Inn, one of the foodie landmarks of the town. Serving good, home-made pub food for lunch and supper, including traditional favourites like pies & roasts, and locally caught fresh fish, all washed down with a pint of Adnams! There are comfortable rooms on site too so why not make a weekend of it and explore Orford? Spoil yourself at the Westleton Crown! 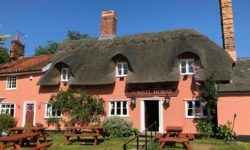 One of Suffolk’s leading pub-restaurant-Inns is The Crown in the small village of Westleton 2 miles from the Dunwich Coast, between Southwold and Aldeburgh. The Westleton Crown offers fine dining in its restaurant and conservatory area, and a less formal but equally fine bar menu in its dog friendly bar & outside terrace areas. 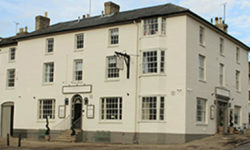 The building which houses the Lavenham Greyhound has been restored to a very high standard. There are plenty of choices of places to eat locally so you can be assured that the food here is top notch. 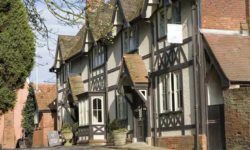 Serving stylish country food with imaginative twists on classic favourites, and sourcing local, seasonal ingredients, plus great beer and wine, a meal at the Lavenham Greyhound will be one of the highlights of your visit to this stunning Medieval Village. 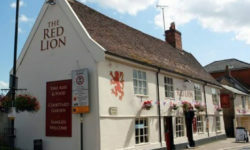 Set in a listed 16th century building, The Red Lion in Woodbridge is a modern take on a traditional pub. You can expect traditional real ales, locally roasted coffee, fine wines and craft beer as well as lunches and dinners using home-made, locally sourced ingredients where possible. They have specials during the week such as Curry night and Steak night and live music at the weekends. To find out what’s on, click on the link above. Just outside of Woodbridge, in the pretty village of Grundisburgh, you will find The Dog. A bit more than a traditional pub, there is a stylish restaurant, a tiled public bar with cosy log burner and a beautiful enclosed mediterranean style garden with an olive tree, lavender bushes and a wood fired pizza oven. The bar serves real ales and a great selection of craft keg beers and quality wines and the menu is packed full of seasonal produce. Enjoy a delicious roast dinner on a Sunday too. Child, and dog friendly, find out more about the The Dog at Grundisburgh. The Six Bells in Preston St Mary is a charming, Grade II listed pub in the most peaceful of surroundings, about 4 miles from Lavenham. They serve lunch and dinner as well as traditional roasts all day on Sundays. The menu is full of British seasonal produce, sourced from local farms and suppliers including nearby Lavenham Butchers and day-boat fish from Leigh-on-Sea. There’s an extensive wine list and selection of premium bottled lagers, cider and spirits, and a spacious garden from which you can enjoy them in the summer months. Plus events and special nights happening throughout the year. Pubs in Suffolk come in all shapes and sizes – the smallest is The Nutshell in Bury St Edmunds- you can touch the back wall from the front door, but the quality of the pub makes up for it’s lack of quantity! Suffolk’s pleasant life and countryside encourages people to work here, and stay here, including prominent chefs and excellent staff. 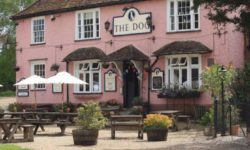 As you’d expect from us country loving folk you can take your hound to many Suffolk Pubs – but check out Dog Friendly Pubs in Suffolk first to make sure! 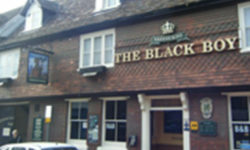 The Black Boy Public House is a traditional pub offering great value accommodation located just off the main square in this attractive medieval town – perfect for a short break to explore Bury St Edmunds.